Can my previous semester balances be deferred? Who is my Business Office Counselor? Why do I need to complete the Direct Deposit Authorization Form? If I don't complete the Direct Deposit Authorization Form, to what address will my refund check be mailed? How does the Supercard Voucher work? Why was my loan money returned to the lender? If I withdraw from the university will I owe any money? Log into your JSU P. A. W. S. account. Select ' Fall/Spring/Summer 20xx Registration Services '. Select 'Sign up for New Payment Plan'. Follow on-screen instructions. Please note that you must pay the initial down payment (25% plus $100) in order for your registration to be completed and avoid having your classes purged. What is the refund process?Once the Financial Aid Department has applied monies to your account, the Business Office applies any unused aid to your account in the form of a credit. The Business Office has 14 days to apply the refund to your account, however, the estimated time between the application of the refund and you receiving your check or direct deposit will vary. The Business Office will not 'hold'a check for students. The checks are disbursed via postal mail or via direct deposit to a checking account. We recommend submitting a Direct Deposit Authorization Form to the cashiers in the Business Office to ensure that you receive your refund sooner. Am I entitled to a refund? You may be entitled to a refund if your account has a credit balance. You can use the internet to find out by logging onto JSU P.A.W.S, enter ID and PIN, select Student & Financial Aid, select Student Records, select Account Summary to check on your account. If your account has a credit balance, contact your Business Office Counselor. Contact the Business Office at 601-979-2216 or come by to speak with a Business OFfice Counselor. User Tiger Queue to get in line to see a counselor. Why do I need to complete the Direct Deposit Authorization Form? You should complete the Direct Deposit Authorization Form because the highest priority is given to direct deposits during the refund process. Can I change my mailing address?Yes. You can log onto JSU P.A.W.S and update addresses under Personal Information. The Business Office Counselors can not change a student's address. How does the Supercard Voucher work? 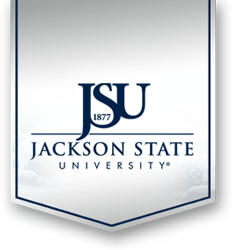 At the start of each semester, Jackson State University allows students with financial aid who are scheduled to receive a refund to place money on their JSU I.D./Supercard for the purpose of purchasing books and supplies, and use the Supercard at vendors on/off-campus Since JSU will not receive this money until the established disbursement date, there is a limit of $1,000 per semester. Supercard refunds are processed beginning the last three weeks of the semester. The student must first make the request at the JSU ID Center, then present the paperwork from the ID Center to the Business Office to process the refund to the student’s account. Payment plan is established for the current semester tuition and fees. Once 1 of the 3 requirements is completed, registration is automatically completed and the student will not be purged from classes. The student will get an email with registration is complete. If you have not received an email by the begining of class, please contact the Business Office before classes start. Why should I Pre-Register? 1. Pre-registering increases your chances of enrolling in the premier classes at the times best suited for you, thereby customizing your class schedule to your particular needs. 2. Pre-registering allows students to avoid crowds, long lines and the frustration of trying to enroll in closed sections during Registration. 3. Pre-registering also allows you to complete your registration online, if your financial aid info is available. Why was my loan money returned to the lender? The most common reasons for money being returned to the lenders are:A. Registration not completed, so classes were purged. If you are not enrolled in school you are not eligible for the TITLE IV Federal Loan program. Over awarded. Third Party Scholarships and grants awarded to the students from resources outside of the university MUST be reported to the Financial Aid Office to ensure the student is not over awarded. If I withdraw from the university will I owe any money? Withdrawals before the first day of classes will result in no tuition charges for that semester, but there may be prorated charges for room and board along with any monies spent from the Supercard voucher, if applicable. Withdrawals beginning on the first day of class, and thereafter, will result in prorated tuition charges for that semester, in addition to prorated charges within the deadlines for room and board, Supercard, etc. • The JSU Class Schedule Booklet lists the dates for prorated charges. The deadline dates are listed under the title "Jackson State University Refund Policy." If you have received Federal Financial Aid (grants and student loans) and plan to withdraw, please read the section titled "Return of Title IV Federal Financial Aid" especially if you have already received a refund. This valuable information should be read and considered when making a decision to withdraw from the university. How do I pay? • Online by credit card via JSU P.A.W.S. and choosing “Student and Financial Aid,” then click “Student Account,” then click “Account Summary” at which time you will see the link at the bottom which states “View Bills and Make Payment.”• MasterCard and Visa: JSU will accept both credit cards for payment of student tuition and fees. • Checks: Checks should be made payable to Jackson State University . All checks must have the check holder's name, address, driver's license number and/or social security number, a personalized bank check given for tuition, fees, or room and board will be accepted subject to acceptance by the bank where the account is located. Returned checks due to insufficient funds must be redeemed immediately along with a $40 fee to avoid termination of registration. • Credit/Debit, Cashier Checks, Money Orders or Travelers Checks: Can be used for payment in lieu of cash. Where should I send payments? Payments should be mailed to the Business Office, P.O. Box 17159 Jackson , MS 39217.